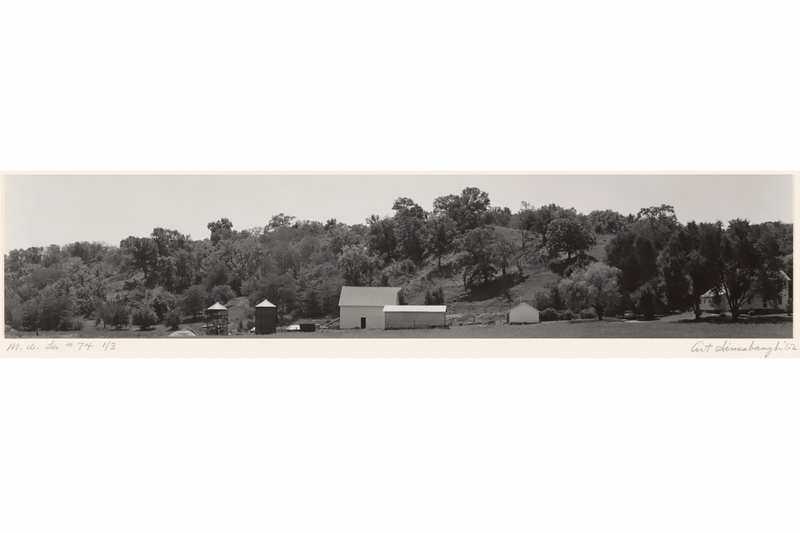 “Capturing Landscape,” a summer photography exhibition at Krannert Art Museum, looks at American landscape photography and the relationship between people and nature. CHAMPAIGN, Ill. — A summer photography exhibition at Krannert Art Museum provides a way to experience American landscape photography, with accompanying events that feature well-known local photographers and encourage visitors to create landscape photographs of their own. 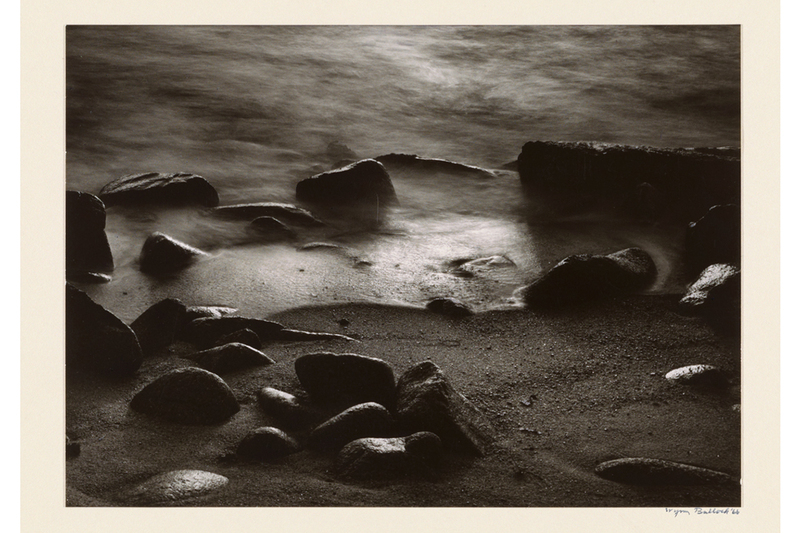 “Capturing Landscape” looks at the relationship between people and nature through black-and-white photographs from the Krannert Art Museum collection. The exhibition runs May 26 to Oct. 20, with public talks and workshops planned in July and August. 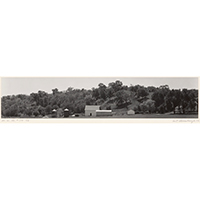 The works by modern and contemporary Americans represent landscape photography in a variety of ways. “As you walk through the exhibition, the range of photographs will encourage you to question our relationship with nature and how that relationship has evolved over time, for better or worse, and to see just how much impact we’ve had on that change,” said Kathryn Koca Polite, the exhibition curator. 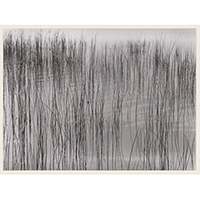 Art Sinsabaugh, “Midwest Landscape #74,” edition 1 of 3, 20th century. Gelatin silver print on paper. Museum purchase through the Art Acquisition Fund 1979-1-1. The photographs are loosely organized thematically according to the photographers’ interpretations of the landscape or cityscape. Human intervention into the natural landscape and the encroachment of industry appears in Richard Meisinger’s smokestacks towering over a residential neighborhood, while Charles Traub presents a wind turbine rising behind a cornfield. Many works in the exhibition highlight Midwestern landscapes, such as a barn in a central Illinois field by Robbert Flick, panoramic views of the Midwest by former U. of I. professor Art Sinsabaugh, and a Wisconsin pasture by Paul Vanderbilt. 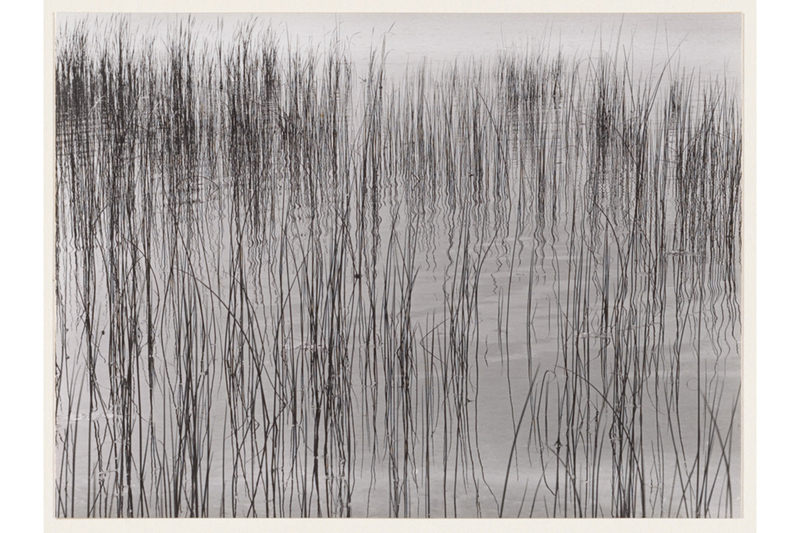 Other photographs close in on details in the landscape, so much so that the images become abstracted – for example, Harry Callahan’s photos of grasses and water that play with light, shadow and reflection. The earliest works in the exhibition are Walker Evans’ 1929 images documenting the growth of urban New York City with iconic images of skyscrapers and the Brooklyn Bridge. By contrast, some of the most contemporary photographs in the exhibition show how people impose borders on the landscape, such as Alan Cohen’s photos of national and state borders featuring a close-up of the border wall between the U.S. and Mexico. The summer exhibition provides an ideal opportunity to engage with the community, think about the landscapes that surround us and discuss the art of making photographs, said Julia Nucci Kelly, KAM’s communications and marketing coordinator. “Connecting people with the art they see in the galleries is an important aspect of the museum’s work, so when we have an exhibition like this one, we naturally ask, ‘How can the artwork connect to people’s everyday lives?’” she said. The museum is hosting photography chats and workshops in July and August that will invite noted local photographers to inspire museum visitors to create landscape photographs of their own. The first of these public events, “Capturing American Landscapes,” will feature writer and photographer Phillip Kalantzis-Cope, who will talk with visitors about how photographers create “a speculative imaginary” by what they frame and what they exclude from the frame. The first photo chat and workshop will be from 3:30 to 5 p.m. July 12 at the museum. During the workshop portion, visitors can take and share landscape photographs inspired by the photos they see at KAM. At the second public event, Krannert Art Museum will partner with Japan House to host local landscape photographer Larry Kanfer for “Capturing Illinois Landscapes” from 3:30-5 p.m. Aug. 2. During the photo chat and workshop at Japan House, visitors will have a chance to hear about Kanfer’s work and his approach to outdoor landscape photography. At the end of the session, attendees will explore the Japan House gardens and the U. of I. Arboretum to take and share their own landscape photographs. The museum will feature new visitor photos from both workshop sessions online and through social media, with the hashtag #capturinglandscape. KAM will also partner to promote nature photography workshops, pollinator events and the summer Star Watch series through its work with the Champaign County Museums Network. Editor’s note: More information about the exhibition and related programs can be found online at https://kam.illinois.edu/exhibition/capturing-landscape or by contacting Julia Kelly at jkell@illinois.edu.